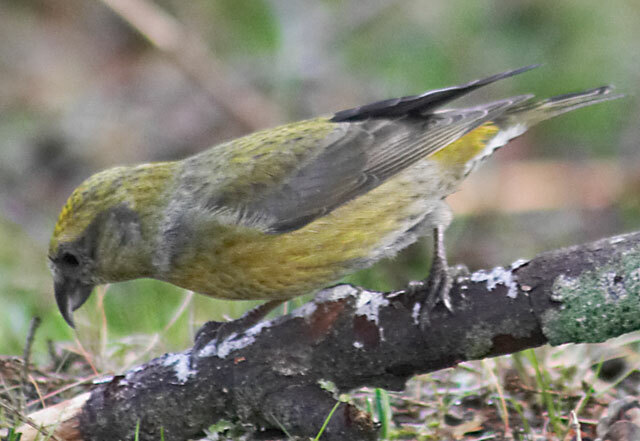 I think this crossbill is female. Notice that it has yellow coloring. The other two birds were much more red in color. I think they are males.